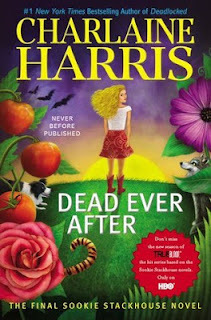 If you are a True Blood fan or simply a fan of Charlaine Harris' Sookie Stackhouse series, you simply must head right on over to Entertainment Weekly to check out their interview with Harris! She discusses the upcoming last novel in the Stackhouse series, Dead Ever After (in stores May 7th) as well as her plans now the Sookie's story is all wrapped up. EW also features an exclusive trailer reviewing bits of Sookie's life over the course of the series, narrated by none other than Charlaine Harris herself! Stay tuned to Steph's Stacks for more book related news hot off the web!